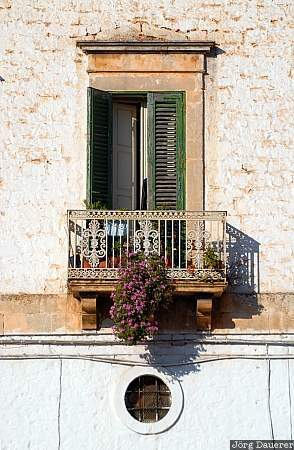 Door opening towards a small balcony in the "white city" (Citta Bianca) Ostuni, Apulia (Puglia) in the province of Brindisi in southern Italy. This photo was taken in the evening of a sunny day in early May of 2006. This photo was taken with a digital camera.